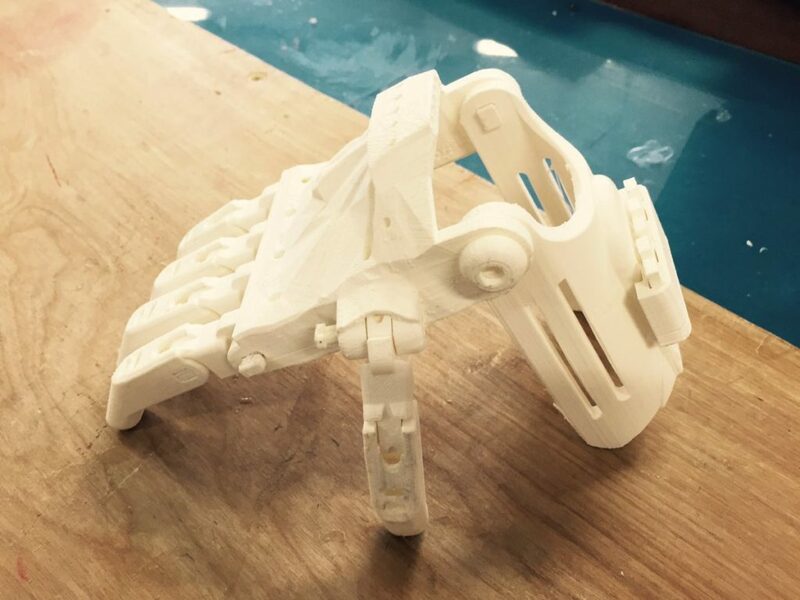 Beamont Collegiate Academy on BBC News: The gift of a 3D printed limb for local boy! We are so proud of our All About STEM, Spotlight School! Tonight, Beamont Collegiate Academy will be featured on BBC News at 6.30pm as they have offered a 3D printed forearm to a local boy with Symbrachydactyly. Beamont Colleagiate Academy is a STEM focused school based in Warrington, the only school in the UK to have a FabLab on site. They have a wide range of technology available to them, such as 3D printers, laser cutters, CNC routers & robotics and are open FREE to the public. They were recently contacted by a local family whose son (nearly 6) was born with Symbrachydactyly, so has a shorter forearm and is missing most of his hand, only having 2 small fingers. 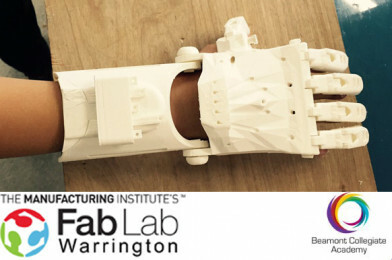 “One of our FabLab staff is about to graduate with a degree in Prosthetics from Salford University and is already working on an upgrade to the basic model of the arm. We are working with the charities Reach and Unlimbited to publicise our offer to any other NW families who might need help with this condition.” – Chris Hillidge, Director of STEM. We are looking forward to sharing more on this wonderful humanitarian collaboration between organisations, local families and Beamont Collegiate Academy. All About STEM Spotlight School: Beamont Collegiate Academy USA Adventure!